When you're working through the post 110 content of World of Warcraft's Legion expansion with one Alliance character and are getting bored of running through the same content on five others, sometimes you need to take a walk on the Horde side. We're at the end of the second week of Legion, and I'm progressing through the expansion's content at a steady clip. Last week's artifact weapon fever has given way to this week's — ok, to be honest this week started with artifact fever as well. On Saturday I started a gnome Warlock, the other class I could never really stand levelling. I got her to level 27, fell in love with the damage-over-time barrage of the Warlock's affliction specialisation, and boosted her to level 100. Her name is Murlock. Cannot believe Murlock was not taken. 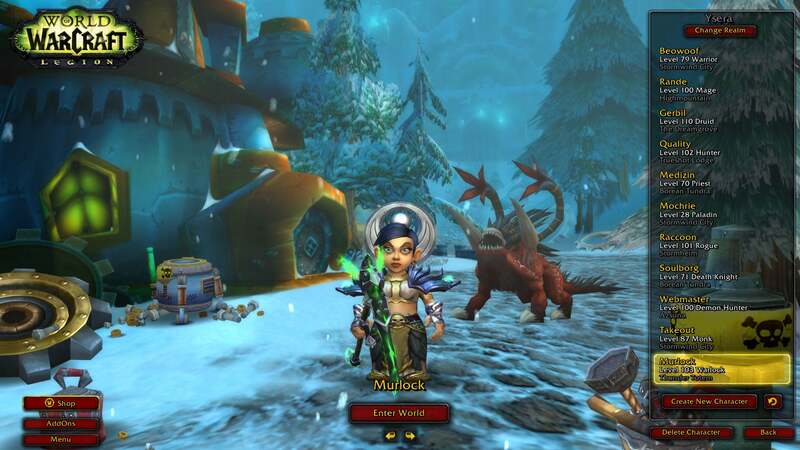 I got all three of Murlock's artifact weapons, then hopped onto my gnome Hunter, Quality, and grabbed her Marksmanship and Survival bow and polearm. At that point, all I had left to get to level 100 was Warrior, Priest, Paladin and Monk. But wait . . . didn't I have a level 96 Warrior on another server? The Warrior Order Hall is ridiculous. Why yes, yes I did. 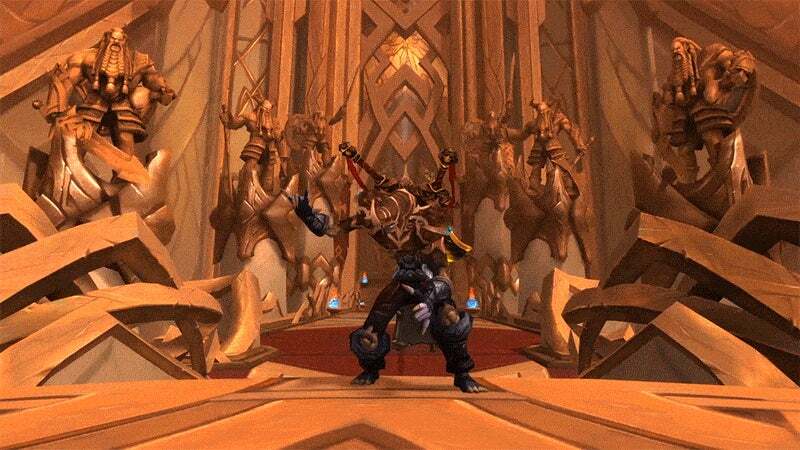 This is Cliffrend, a character I created to play through the Horde side of Warlords of Draenor a couple years back. Since Legion content technically begins at level 100, it only took some light questing and six or seven runs through the Auchindoun dungeon to get him up to speed. The Warrior class quest hurt a great deal. I was nowhere near geared, and despite level scaling I got my arse handed to me at every turn. Then yesterday Blizzard hotfixed the quest to make the mobs hit a little less hard. Great! 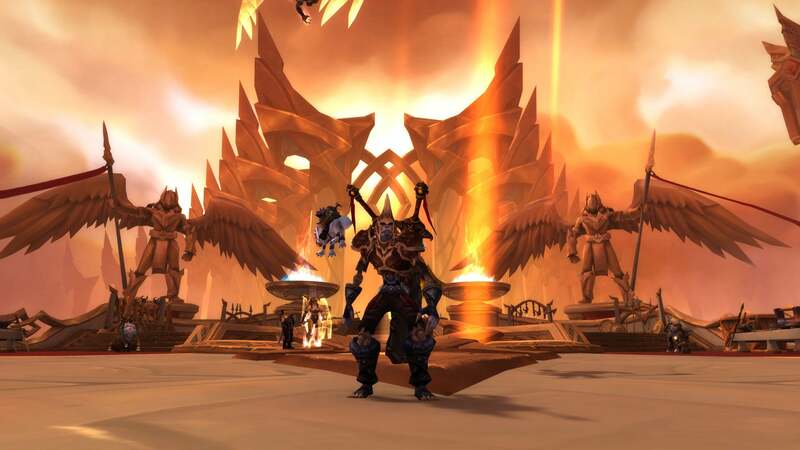 While the Class Hall quests vary from class to class, the core adventuring through the initial four zones of Legion is largely the same for every character of the same faction, so levelling solely Alliance characters was getting old. It's been nice seeing the events unfolding from the other side, especially when I get to hang out with my video game crush and new Horde Warchief, Sylvanus Windrunner. I collected the first of my three Warrior artifact weapons, and have been tooling around with Cliffrend between doing the copious amounts of end-game content with Gerbil the Alliance Druid. So metal. As I mentioned earlier in the week, the real meat of Legion doesn't kick in until level 110. 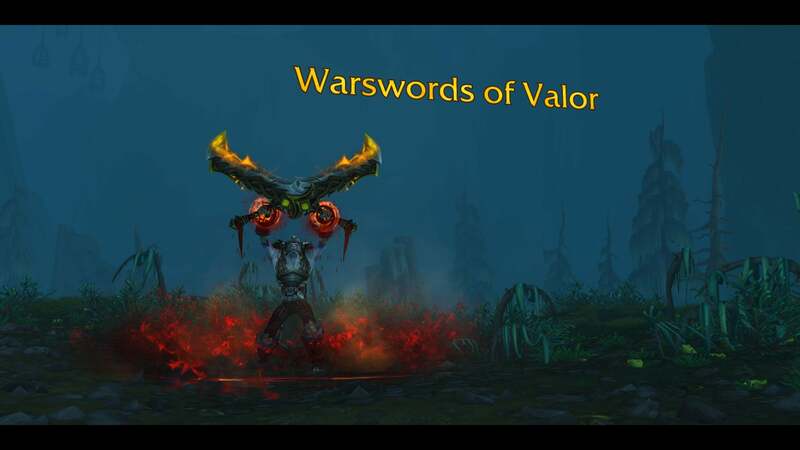 A new zone opens up with an extensive story line and random World Quests appear all over the Broken Isles map. The World Quests range from basic "kill those things" quests to some really inventive stuff. In a quest called "The Magic of Flight" the player must navigate a series of floating bubbles in order to obtain a magical artifact. It's basically a platforming puzzle of sorts. There are World Quests for large groups, player-versus-player world quests that temporarily flag characters so they can battle the opposing side while hunting for objectives — there's a whole lot going on. And speaking of PVP combat, I've begun to climb the PVP ranks on my Druid (Moonfire spam for life), which is slowly easing me out of my shell on other toons. WOOO LEVEL 3! Of 50! The first 50. at least. I'm going to give Legion one more week from a critical standpoint before writing up a final review. I'm up to m little wolf ears in things to do, but I'd like to see how long the magic lasts before declaring it magical. After an absence of 5 years I've jumped back into WoW. Currently leveling my Death Knight through the Padaren area. Absolutely loving it! 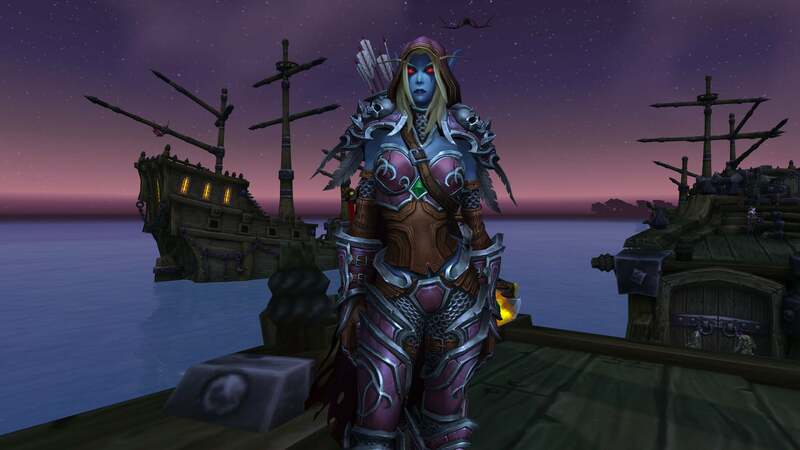 I was burned out all those years ago after having played WoW for 4 years but the long absence has made me appreciate WoW so much more. I forgot just how good Blizzard are at making MMOs. I haven't been able to stick with any other MMO since WoW and I previously thought it was due to WoW burning me out on them...now I realise it's because WoW is just that much better. Can't wait till I hit that legion content...but in the meantime there's a black and white ball of fluff in need of help! Mists is probably my favourite expansion (excluding Legion). The aesthetic, zone flow and quest design are all excellent, not to mention the music. Be sure to enjoy your time there! When you do get to Legion I think you're going to really enjoy it too, it has been amazing so far. Yep, I've been stopping every now and then just to listen to the music. Sad thing is I'm only in the second zone and already about to hit 90. 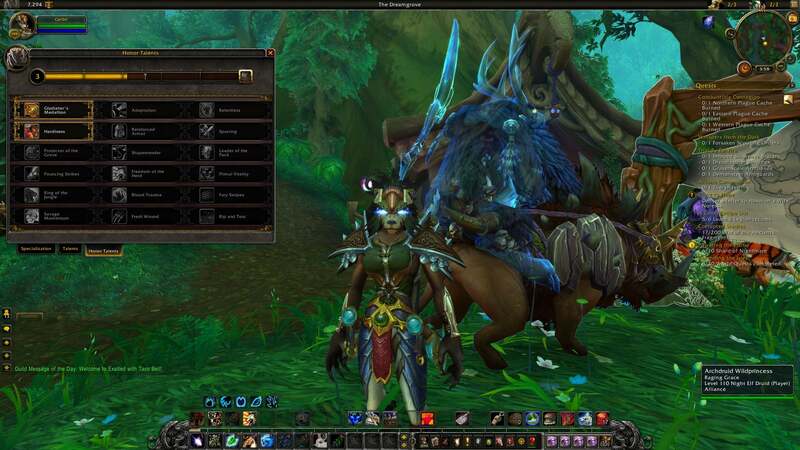 Will be jumping straight into Draenor. The only worrying thing I've seen compared to when I played 5 years ago is I just steamroll everything...my health never goes down unless it's from fall damage. Is the whole game that easy now? Playing a Death Knight if that matters. Thanks for the reply. I'm level 101 now...went from 85 to Legion content in a week, playing about 4hrs per night so didn't take long! I was frost spec to begin with when it felt OP, then went unholy for faster damage and that felt a bit more fragile. Speced Blood at 98 and now my health doesn't go down...ever. Definitely OP as tank spec. Did my first Legion dungeon last night, Eye of Azshara. Soloed the first couple trash mobs before I realized it was a dungeon then came back with a group later. My party wiped on one of the fights and I finished off the last 25% of the boss hp. Being able to do that at level 100 is pretty funny, not what I would expect so definitely OP. Legion is fun though, haven't had this much fun since WOTLK. Looking forward to the lvl 110 content. I just resubscribed friday night, hit 110 Sunday. Leveling is insanely quick in this expansion and i only needed 2 and a half zones to hit 110. I jumped in at level 85 with my mains because I skipped the last 2 expansions....only half way through the second zone of Pandaria and almost 90 so I'd say the leveling is the same pace. may be wrong but im pretty sure they released a patch later on in pandaria which lowered the xp required. Fair enough, I haven't played in 5 years so I'm just taking it as it comes...kind of a pity they increased the xp because I'm going to miss most of Pandaria. Looking forward to starting on the WoD content though. Have a feeling that when I finally get to 110 I'm going to be torn between Legion content and going back to complete the last 2 expansions.